The final days of 2013 saw a flurry of real estate news involving interest rates and mortgages. Some news offered relief for homebuyers, while other announcements made it all but certain that interest rates will climb noticeably higher in the new year. In mid-December, federal home-loan guarantors Fannie Mae and Freddie Mac said they would soon boost the fees they charge lenders, with the added cost passed on to homebuyers as higher mortgage rates. The fees would hit homebuyers with small down payments and less-than-perfect credit scores the hardest. 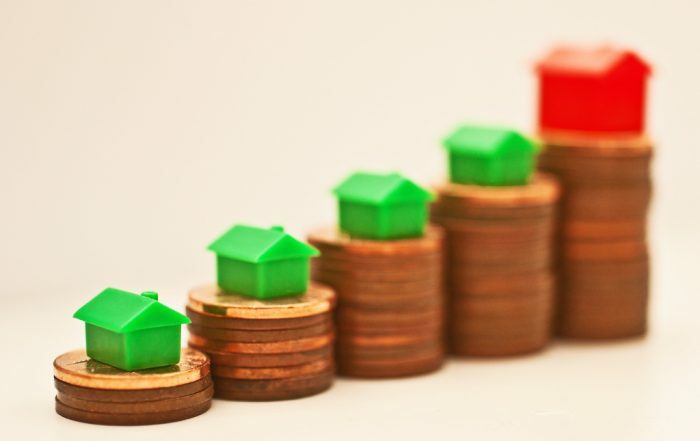 The fee hikes could still be rolled back, however, after they were questioned by the incoming director of the Federal Housing Finance Agency (FHFA). U.S. Rep. Mel Watt, scheduled to take over the FHFA on Jan. 6, said recently that he would put the fees on hold until he has time “to evaluate fully the rationale for the plan” and how it would affect the availability of credit. Critics in the mortgage and housing industry had argued that the fees are too high and would ultimately hurt homebuyers and the housing recovery. Meanwhile, the Federal Reserve announced Dec. 18 that it would begin winding down its bond-buying stimulus program in January and end the program entirely by the end of 2014. The stimulus program has been widely credited with keeping mortgage rates down. The Fed said it would reverse course if the economy weakens, but housing market analysts said mortgage rates will almost certainly rise. Within a week of the Fed’s announcement, the Mortgage Bankers Association (MBA) said mortgage rates increased and refinancing applications decreased. Thankfully, mortgage rates showed little change by the end of the year, according to the weekly mortgage market survey by Freddie Mac. In its last survey of 2013, Freddie Mac reported that 30-year fixed-rate mortgages averaged 4.48 percent, up from 4.47 percent a week earlier. Last year at this time, 30-year mortgages averaged 3.35 percent. Also, 15-year fixed-rate mortgages averaged 3.52 percent, up from last week’s 3.51 percent and from 2.65 percent a year ago. One-year adjustable-rate mortgages, meanwhile, averaged 2.56 percent, down from last week’s 2.57 percent but exactly the same as the rate one year ago. Earlier this year, the MBA predicted that mortgage rates would rise above 5 percent in 2014 and average 5.5 percent by the end of 2015. The likelihood of rising interest rates offers clear guidance to move-up buyers and first-time homebuyers: Delays in financing could add thousands of dollars to a home purchase. Potential extra costs in the first year alone could top $35,000, according to an analysis we published two months ago. Previous PostPrevious Happy New Year From Pacific Union!